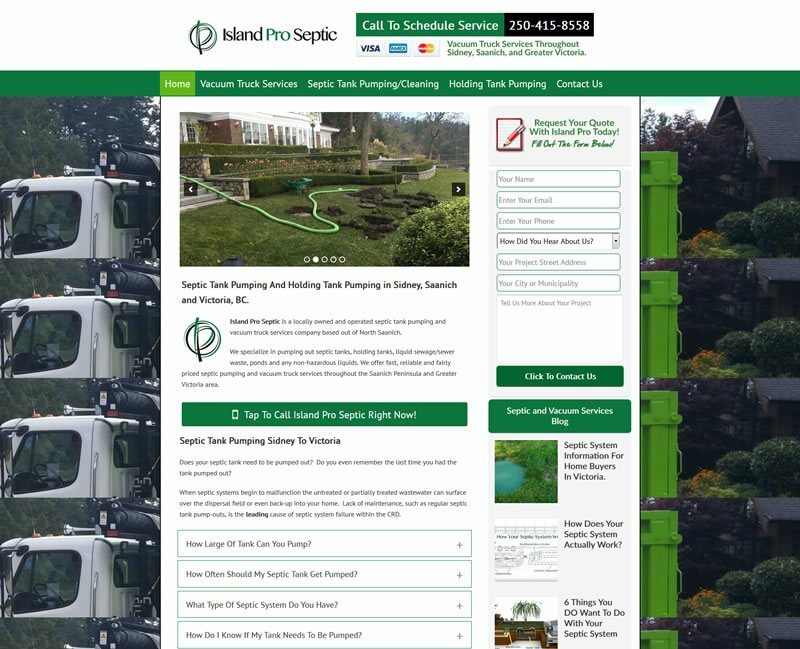 Island Pro Septic Website Design & SEO Campaign. Island Pro Bins & Septic is a dumpster rental and septic pumping company based out of Sidney, BC, Canada and serving the Greater Victoria area on Southern Vancouver Island. The owner Rawleigh R. had met Carl Sorensen (our head honcho) through networking with another local business. Rawleigh was new to the area and was looking to start a business to keep himself busy. With experience in the trucking industry, Rawleigh decided he was going to start a dumpster rental company and he would also offer septic pumping and vacuum services. The truck Rawleigh had purchased for the business was a “hook lift” truck and could easily haul the dumpsters around and could quickly switch to the “hook lift” vacuum unit for pumping out septic tanks. This one truck could perform double duties! How Did We Help Rawleigh And Island Pro Bins & Septic? Without any prior website for the company as it was brand new, we were starting from scratch. The dumpster rental industry on Vancouver Island has typically been dominated by a few very large and well established waste management companies and a couple of franchise companies. The septic pumping industry was very similar with a few companies dominating the search engines with very old and poorly optimized websites. The first thing we did was some pricing research, as this was a brand new business. We called around to all of the local dumpster rental companies and got quotes for certain size dumpsters, various materials and various areas around town. We also called the septic pumping companies and learned a key factor in our clients success. Out of 5 septic pumping companies we phoned for quotes, only ONE (yes 1) actually answered their phone! 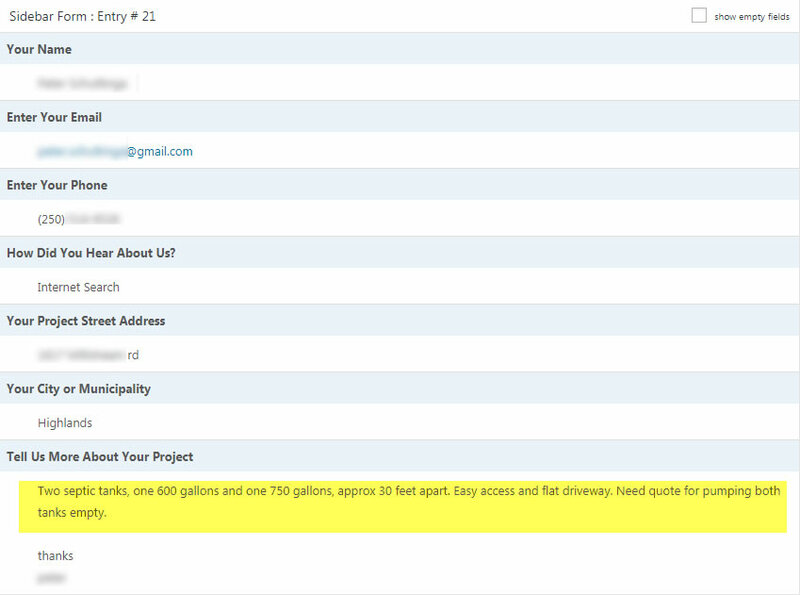 With over 25,000 septic systems in the local area and approximately 500 more coming online every year, this was a niche that was ripe for a new company with a well thought out Internet Marketing strategy and someone capable of simply answering their phone! To give Rawleigh the best chance of success we decided to develop TWO separate websites along with creating two individual Google My Business (Google Maps) listings. We developed one website for the bins and dumpster rentals and another separate website for the septic pumping and vacuum truck services. We created pages for the specific services he offered and we also created pages for the different dumpster sizes and even their specific uses! We created pages for the 10 yard rock box, the 12 yard dumpster, and the 20 yard dumpsters. 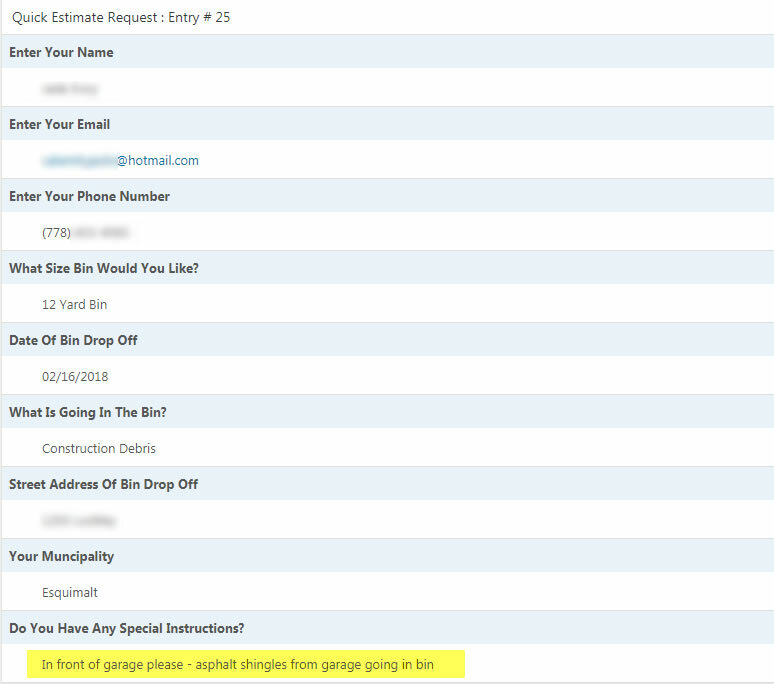 We also created pages for the most frequent users of dumpsters such as contractors, landscapers, roofers and estate clean ups. We followed up the website launch with several weeks of an intense SEO campaign along with a Google Adwords PPC campaign. Our approach proved successful and Rawleigh was getting leads before the truck was even ready-to-go from the fabricator! 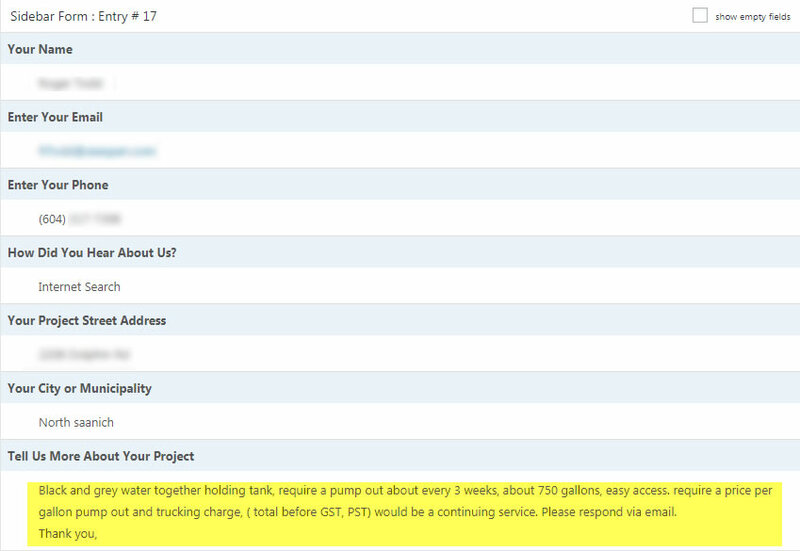 In less than one year the Island Pro Bins and Island Pro Septic websites have generated approximately 187 new clients! One of the interesting observations we learned from working on these websites is that the majority of dumpster rental and septic requests come via telephone or mobile devices. Very few people fill out the contact forms, if you’re in this type of business you better be ready to answer your phone. Want To Hire Us To Improve Your Dumpster Rental Or Septic Services Website?